The Harlem Globetrotters Are Dribbling Back To Town! 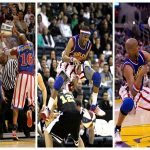 Known as the innovators of basketball and entertainment, the Harlem Globetrotters currently hold 17 Guinness World Records Titles. The 2018 tour will mark the debut of the Flying Globies, an amazing acrobatic trampoline dunk team that will defy gravity during a break in the game action. The Globetrotters were founded in the fall of 1926 in Chicago by Abe Saperstein and played their first road game in Hinckley, Illinois, in 1927. The team has won over 26,000 games and lost only 345 – the best winning percentage (.987) in the history of professional sports. The Globetrotters were inducted into the Naismith Memorial Basketball Hall of Fame in 2002. There are 13 people with ties to the Harlem Globetrotters that have been inducted into the Naismith Basketball Hall of Fame. There have been over 700 players who have worn the red, white & blue for the Globetrotters in the team’s 92-year history. It’s an honor to be a part of the greatest team in sports. The alumni and their legacy are a proud element of this franchise. The first African-American to ever sign an NBA contract was a Harlem Globetrotter – Nat “Sweetwater” Clifton in 1950. Other Globetrotters that went on to successful NBA careers include Wilt Chamberlain and Connie Hawkins. The first woman to play for a men’s professional basketball team was a Harlem Globetrotter – Lynette Woodard. In all, 16 women have played for the Globetrotters. The Globetrotters were the first professional sports franchise to ever be owned by an African-American, former Globetrotters player Mannie Jackson. The first and only man to dunk on a 12-foot basket was a Globetrotter – Michael “Wild Thing” Wilson. The Globetrotters are the first team to ever send a basketball into space – in May 2009, on the Space Shuttle Atlantis mission to the Hubble Telescope. In 2010, the Globetrotters once again changed the face of basketball by introducing the 4-point shot. Citizens Business Bank Arena in Ontario: Feb. 17, at 2 p.m., and 7 p.m.
Honda Center in Anaheim Feb. 18 at 2 p.m., and Feb. 24 at 1 p.m., and 7 p.m.
UCSB Events Cetner in Santa Barbara Feb. 22 at 7p.m. STAPLES Center in Los Angeles Feb. 25, at 2p.m. Enterting is easy. Use the Rafflecopter Widget below. 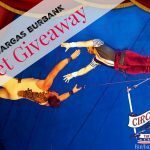 Contest closes on Thursday, February 1st at 11:59pm. ONE Winner will be drawn Friday morning, February 2nd. Winner will be notified via email. 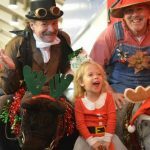 Ticket Exchange Passess will be mailed directly to winner. These must be taken to the Box office of the venue in Ontario/Anaheim or Los Angeles for exchange of seats, either prior to show or day of show. 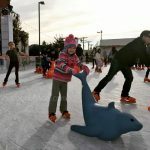 Ticket Giveaway To ‘The Rink’ In Downtown Burbank! 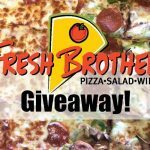 It’s #NationalPizzaMonth, And I’m Giving Away FREE Fresh Brothers’ Pizza Every Week In October To Celebrate! 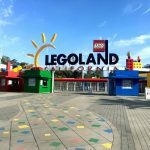 KIDS GO FREE To LEGOLAND California With Honest Kids Juice, And I’ve Also Got 4 Tickets To Giveaway! The Amazing Harlem Globetrotters Are Returning To SoCal!